Love is in the air and Valentines Day is just around the corner, so as we think on for creative ways to express to our equine partners just how much we love them, I expect my Valentine to be doing the same...but about me! Getting kicked...you aren't mum, and you're cutting their tail - it won't be easy to cover up the hoof print on your face...arm...thigh? Or a broken hand for that matter. Failing to conceal the area the hair was cut from...don't cut from the top boys!! Go underneath...or else you may not have a girlfriend for Valentines if you ruin that perfectly pulled tail. Even worse, you could have an hysterical girlfriend as bad people often mark horses to steal in this way!! Then you'll have to own up. Sharpish. DO NOT cut the dock! (And before you ask, you'll know what a dock is once you feel it). Being caught by anyone at the yard who might tell your girl...a cover up explanation could be difficult..."hey, what are you doing back there? errrrmmm". Don't forget to take something with you to transport the hair in, a rubber plaiting band or rubber band is best to keep all the hair together, then a clear sandwich bag to send it off in. Ordering too late..these are personal gifts, so hot foot it down to the yard. NOW! 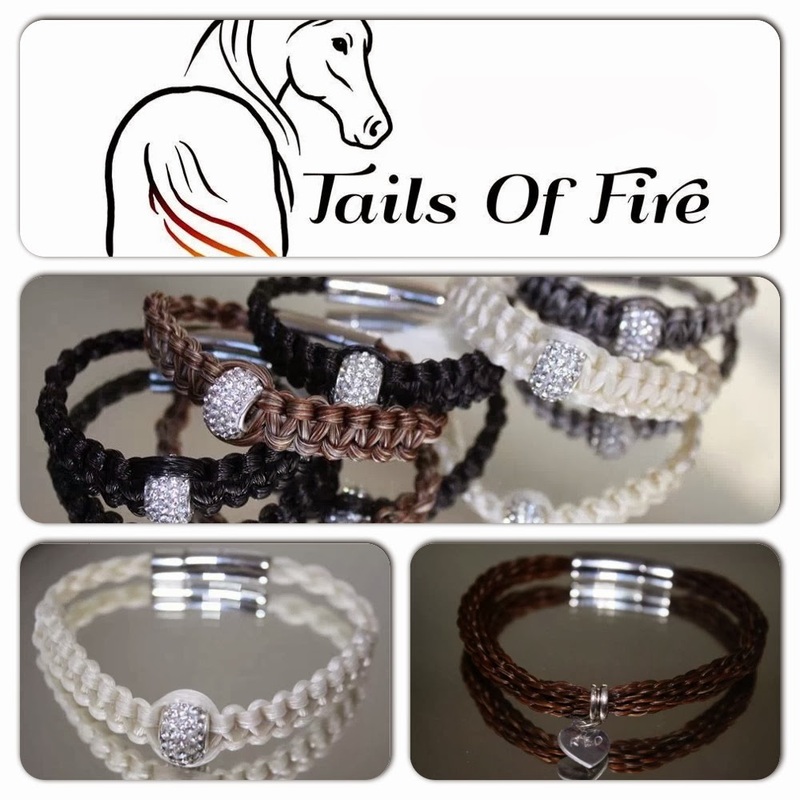 My favourite bracelets are by Tails of Fire because their bracelets are so stunning, these cost around £30-£35 plus £2 for P&P. Aren't they dreamy? I don't know what my Valentines will bring but I will definitely be ordering a bracelet soon for my Mum as her Mothers Day gift this year.